A versatile array of modular switches supporting everything from small enterprise/campus connectivity right up to service provider and cloud data centers. Featuring Terabit-class performance, high availability and redundancy, our simple, scalable and intelligent switching products come in a variety of forms to fit every need. 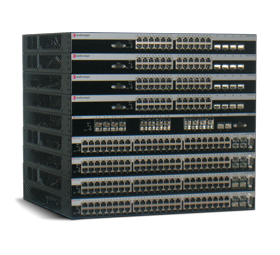 A versatile family of terabit-class modular switch routers for edge-to-core and data center. A cost-effective, modular, flow-based switch with premium features for enterprise campus edge-to-small core. Simplify, virtualize, and converge cloud-scale data center networks with our flagship modular data center solution. The 8000 Series fits well at the edge of the most demanding enterprises switching Voice-over-IP (VoIP), video, wireless, and data traffic. We offer switches designed to support the evolving applications of converged networks featuring exceptional quality of service, low latency, resiliency, line rate performance, and advanced Power over Ethernet (POE). 40 GbE purpose-built top-of-rack switches designed to support 10 Gigabit Ethernet-enabled servers and emerging 40 Gigabit Ethernet-enabled servers in enterprise and cloud data centers. 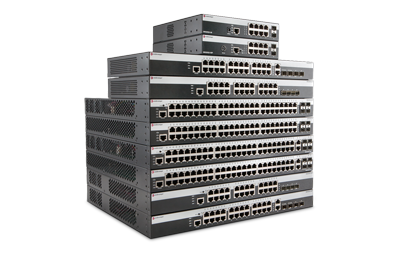 Highly scalable and versatile Gigabit and 10 Gigabit Ethernet switches to help optimize application performance. 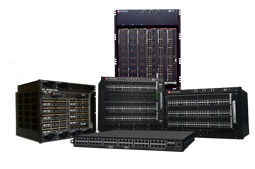 Scalable, versatile intelligent edge switching and routing with exceptional port density and high-performance stacking capabilities. A fanless, 8-port 10/100 Fast Ethernet port extender for enterprise-class access requirements. High-density, high-performance 1 and 10 Gigabit Ethernet switches optimized for high-bandwidth Top of Rack and edge applications. A highly intelligent switch that leverages advanced S-Series functionality for data center or campus edge applications – all in a small, one-rack unit form factor. 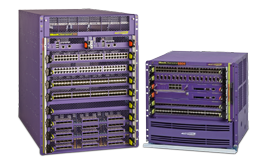 Highly customizable and high-performance edge switch with advanced routing capabilities. A cost-effective, stackable edge switch designed to meet the demands of today’s enterprise at a competitive price point. A cost-effective, yet full-featured fast Ethernet edge switch. A versatile array of standalone switching platforms that provide a range of features, form-factors and port densities to suit any edge or access requirements. A fanless, 12-port tabletop edge/workgroup switch with Gigabit Ethernet and optional dynamic policy support. Cost-effective Gigabit Ethernet standalone switches that provide essential network edge/access connectivity solutions for branch offices, enterprise edge and small and medium businesses. A highly reliable Fast Ethernet and Gigabit Ethernet family of access switches that provide scalable, wire-rate performance in a cost-effective, versatile array of port-densities. Extreme Industrial Switches provide continuous uptime, manageability and operational efficiency. With full PoE+ power per port, each switch offers the performance needed for todays power-hungry CCTV devices and WLAN access points. Extreme Networks Ethernet Mobile Backhaul solution is designed for the unique demands of mobile operators, offering resilient synchronous Gigabit Ethernet (GbE) backhaul to provide support for multiple generations of services. The highly scalable Extreme Networks E4G-200 cell site router is a new carrier-grade Ethernet platform designed to enable true 4G mobile backhaul networks. This highly scalable cell site aggregation router allows mobile operators to manage and aggregate TDM and Ethernet services and their associated protocols onto a single, economical and efficient Ethernet mobile backhaul network.